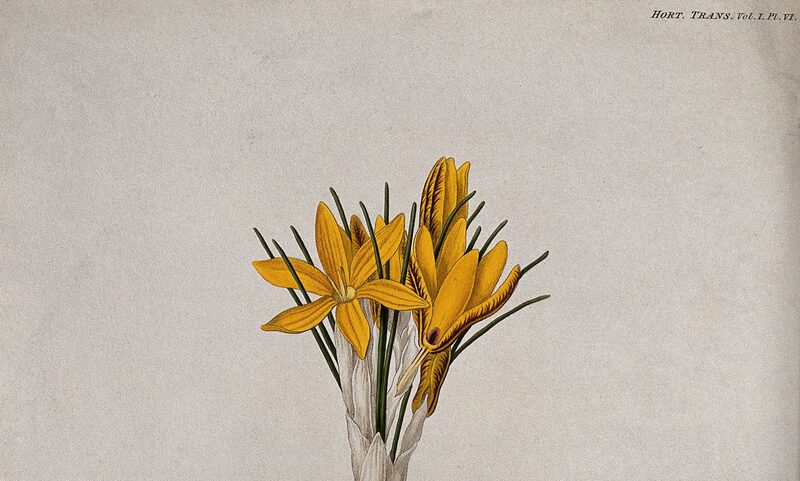 In the late eighteenth century, American ginseng opened up a new niche market in Qing China. At the same time, Chinese rhubarb (dahuang) roots, harvested from the northwest regions of the empire, were transported by Chinese traders all the way to the southeast coast and sold off to foreign customers in Canton (Figure 1). Part of these transactions took place in the Ryukyu Kingdom (present-day Okinawa Islands), a vassal state of the Qing but also an important node of global trade that crisscrossed the West Pacific. At some point in 1789, the Qing court issued an edict to the Ryukyu king that explicitly forbade him from selling rhubarb to Russians, with whom the Qing was then engaging in an all-out trade war. 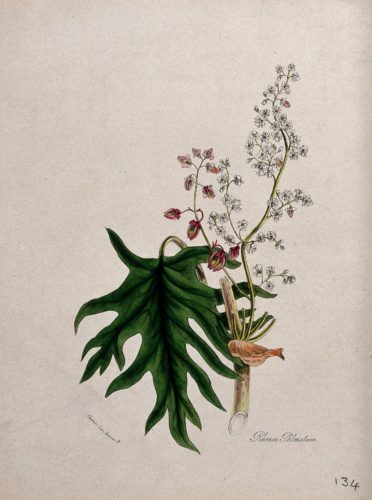 Rhubarb featured prominently in the Qing strategy because they believed that Europeans imported so much of this drug that they could not live a day without it. Yet is it really true that pharmacological visions in early modern China and Europe were so different that they could not possibly reach a consensus over rhubarb’s properties ? 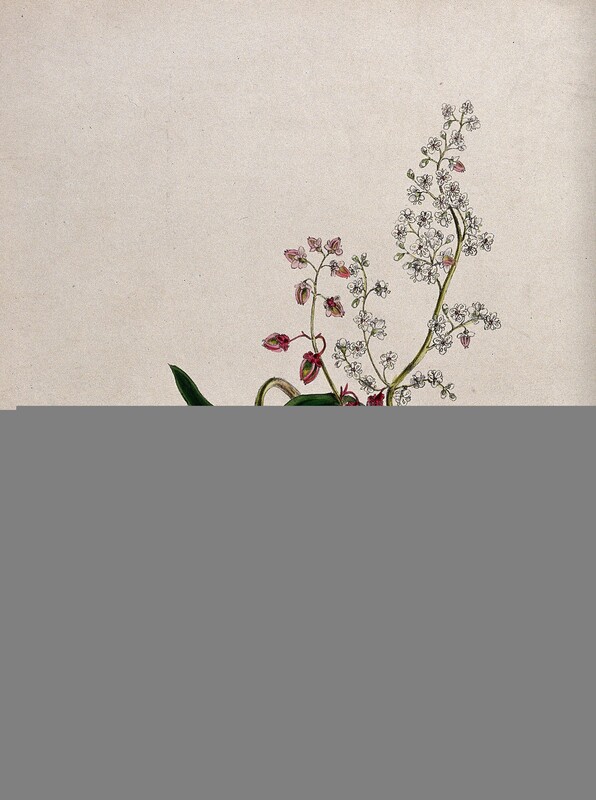 Classical Chinese pharmaceutical literature listed rhubarb as a drug with a “very cold” nature, and generations of physicians were taught not to use the cold drug in curing cold-natured diseases. This suggested that Russians (and other Westerners, as seen in this post on rhubarb in early modern England) had different bodies than the Qing Chinese, as they depended on rhubarb as an all-round cure. Pharmacological theories, in other words, engendered a vision of difference that seemed insurmountable. During my recent reading of Qing medical recipe books, however, I discovered that rhubarb in fact functioned as nothing short of a panacea for Qing Chinese. This is evident in the text Bianyong liangfang (Excellent Recipes for Expedient Use), which appeared in the Jiaqing reign (1796-1820). Compact (only 2-juan in length) and very nicely printed (with carved woodblocks), it arranges pills, powders, tinctures, and decoctions by symptom. The book has about 120 pages, and most recipes are merely a few lines in length. What surprised me was that one very long recipe at the end of the text takes up the entirety of 13 pages. The remedy in question, mi shou Qingning wan (Secretly transmitted pill of purity and tranquility), calls for “several dozen pounds” of good quality rhubarb roots as the principal ingredient. Rubbed clean and steeped in rice water, the rhubarb was sliced, sun-dried, processed with “ash-less good rice liquor” for three days, and then put through a lengthy, elaborate protocol of fifteen rounds of steaming. Each steam involved a different set of herbs. Finally, makers took the resultant rhubarb paste, mixed it with “yellow ox milk” (using cooked honey as substitute if there was no milk), boy’s urine, ginger juice, and rolled it into tiny pills. The recipe listed hundreds of common illnesses that could be treated with this pill, ranging from headache and hemorrhage to gynecological disorders. I have tried to look up this recipe in earlier Chinese medical texts, and my preliminary findings suggest that it probably came into existence no earlier than the seventeenth century. It became wildly popular in the eighteenth century, and recipe books serve as evidence of its widespread consumption. On the last page of Bianyong liangfang (Figure 2), the compiler, Luo Benli, announced that he had a batch of rhubarb pills prepared during his tenure in Guizhou – a southwestern province of China – and that, in case of emergency, readers could “call upon my house on Pearl Nest Street” and look for the “residence of Mr. Luo of the Ministry of Defense (bingbu Luo zhai).” Pearl Nest Street (zhuchaojie), a neighborhood in Qing Beijing not far from the Forbidden City, featured prime real estate. As a military official who had served in the frontier provinces, Luo was less bound by medical norms of the day and possessed the financial and political capital to manufacture elaborate pills like these. Was there, in other words, a sub-culture of health and medication championed by military elites such as Luo, which stood distinct from classical prescriptions? 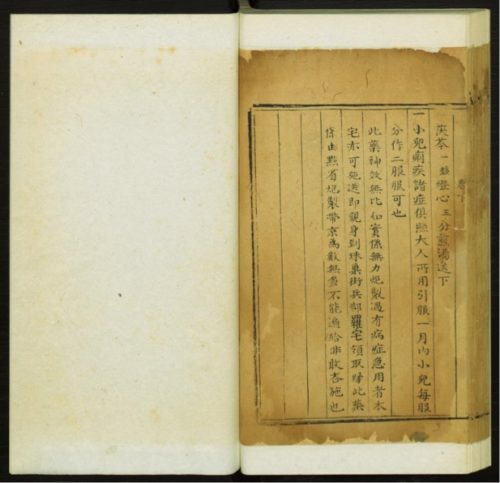 One last word about this recipe that hints at a hidden connection between different cultural realms in early modern China: Sun Xingyan (1753-1818), a prominent scholar who combed through medieval sources for fragments of ancient texts, published the same recipe for Pill of Purity and Tranquility in his scholarly series. The inclusion of this Qing text alongside ancient monographs so bewildered modern bibliographers that they mistakenly attributed the recipe’s author to a seventh-century figure. In fact, Sun Xingyan made it clear that it was a contemporary remedy and provided an elaborate scholarly argument to defend rhubarb’s all-around efficacy to cure both hot and cold-natured illnesses. He also suggested that “vulgar physicians” despised the pill because if everyone had access to this remedy then their businesses would be lost. Therefore it does appear that, when it comes to rhubarb, Qing Chinese scholars and military commanders were no less enthusiastic than what they imagined about the Russians. I recommend this excellent essay by Chang Che-Chia (translated by Penelope Barrett) for more on this curious episode.